When you’ve been arrested, and are facing criminal charges, you cannot face those charges alone. A good criminal defense is vital to ensuring your rights are upheld, preventing your conviction in a court of law, and keeping you out of jail. Martin L. Roth is a criminal defense attorney who has spent his 36-year career defending those charged with crimes at both the state and federal levels. He has also represented clients facing deportation, helping them get their immigration status straightened out so they can remain in the country, as well as those who are faced with drug charges, including intent to distribute and growing marijuana. 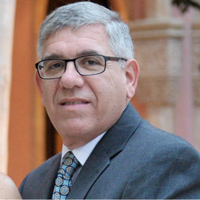 Based out of Fort Lauderdale, Florida, Martin L. Roth has helped clients throughout the United States. Over his 36 year career, he has not only defended clients facing some of the most serious charges, but he has a successful track record of getting charges against those charged with major crimes dismissed, and getting his clients acquitted when cases go to trial. Along with his defense of clients throughout the state of Florida, including Fort Lauderdale, Miami, West Palm Beach, Tampa, Orlando, Fort Myers and the Florida Keys, Mr. Roth has defended clients against criminal charges in South Carolina, North Carolina, Virginia, Georgia, Louisiana, California, the District of Columbia, and Puerto Rico. He has defended clients at all levels of the court system, including representing criminal defendants in the Federal Courts, and before the Florida Supreme Court. No matter what the charge, criminal charges are always serious. Getting an attorney with years of experience in criminal defense may mean the difference between acquittal or spending your life in jail. Martin L. Roth is dedicated to protecting your rights, and the rights of all his clients, at every step of the legal process. At a critical time in your life, select the best possible representation. Martin L. Roth, P.A. is located in Fort Lauderdale, FL and serves clients in and around Fort Lauderdale, Dania, Hollywood, Hallandale, Pompano Beach, North Miami Beach and Broward County.